Ralph Waldo Emerson (1803-1882) was an American essayist, lecturer, and poet, who led the Transcendentalist movement of the mid-19th century declaring ‘we come to look at the world with new eyes. It shall answer the endless inquiry of the intellect. The movement was a protest against the general state of spirituality and intellectualism and promoted the idea that people, men and women equally, have knowledge about themselves and the world around them that ‘transcends’ or goes beyond what they can see, hear, taste, touch or feel. It is an extract from an essay by Emerson that is printed in the booklet to a new release from Heresy Records www.heresyrecords.com of works by Scriabin, Cage, Wollschleger and Feldman played by pianist Ivan Ilić www.ivancdg.com/menu.php entitled The Transcendentalist. Though the term transcendental was used by Liszt to reflex the extreme technical difficulty of his Twelve Transcendental Études, suggesting that a level of sensibility can be reached by the expansion of playing technique, Ivan Ilić has taken the term to make a conceptual link that connects this repertoire. This leads us to the music itself which opens with Alexander Scriabin’s (1872-1915) Prelude, Op.16 No.1 in B major where Ivan Ilić brings a Debussian flow and charm in an entirely beguiling performance, beautifully judged with a fine touch. He continues with Scriabin’s Prelude, Op.11 No.21 in B flat major where his phrasing highlights the rather elusive quality of this prelude. 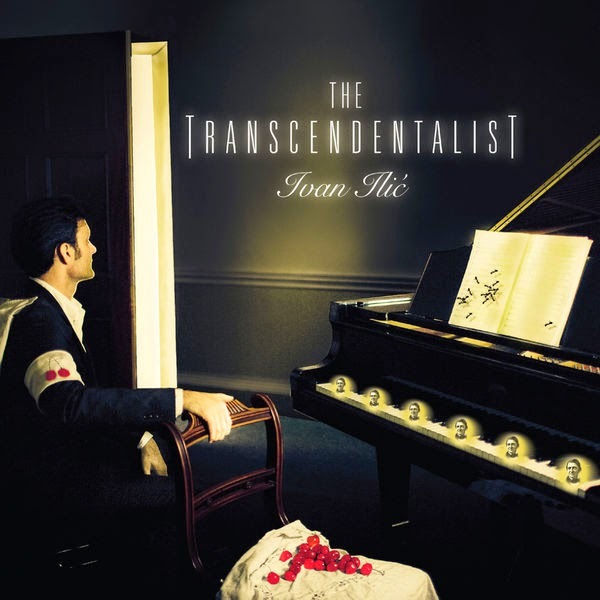 Transcending the often perceived gulf, Ilić brings us John Cage’s (1912-1992) Dream (1948) showing how perfectly it follows, making it an inspired choice after Scriabin’s Preludes. Those who think they don’t like Cage’s music will surely be persuaded by Ilić’s sensitively exquisite performance, as the music gently rises and falls, mesmerizingly beautiful and with such fine use of pedal. Ilić makes another perfect link as he takes us into Scriabin’s more advanced Guirlandes, Op.73 No.1. Again it is this pianist’s phrasing that does much to draw parallels as well as bring out the advanced harmonies of Scriabin’s creation. Returning us to Scriabin’s earlier idiom, Ilić continues with the Prelude, Op.31 No.1 in D flat major, yet still there are those subtle harmonic shifts that glimpse the future Scriabin. Ilić manages to give the music a gentle forward pulse, using a fine sense of phrasing and rubato, something he also brings to Scriabin’s Prelude, Op.39 No.3 in G major where he brings out Scriabin’s further advance in harmonic language, with a lovely flow. Scriabin’s Prelude, Op.15 No.4 in E major has a directness, a simplicity, that Ilić draws upon in the way he pushes forward, with a natural flow but never losing the pulse. Scott Wollschleger’s (b. 1980) Music Without Metaphor (2013) has a languid opening that makes one momentarily believe we are into a more advanced work by Scriabin. With his rippling textures, Ilić makes the connection of this piece strangely close to that of Scriabin. Centrally there is a more dynamic phrase that alerts the attention before we are gently taken back through to a quiet coda. Scriabin’s Rêverie, Op.49 No.3 restores a little Romanticism, offset by Scriabin’s unsettling harmonies, with this pianist drawing out this work’s more advanced aspects. Scriabin’s – Poème languide, Op.52 No.3 seems to embrace the sound world of Wollschleger, though obviously, the reverse is the case. This is a beautifully phrased performance that slowly builds before ending quietly. Ilić’s choice of works has one constantly re-assessing what is modern. John Cage’s In a Landscape (1948) initially sounds more conventional than Scriabin’s Poème languide. Certainly there are more modern harmonies here, beautifully realised by Ilić and the slightest hint of minimalist principals. But Cage gives us a gentle, subtle, beautiful work that constantly varies, leading at times to a Debussian soundworld. A terrific piece. Just when one is expecting to return to Scriabin, Ilić confounds our expectations again, giving us the most extended work of all, Morton Feldman’s (1926-1987) Palais de Mari (1986). 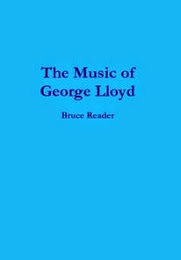 It opens tentatively and quietly thus connecting with the subtleties of, not only Cage, but of Scriabin. As Feldman slowly works out his material there are some lovely intervals, dissonant yet attractive. This is a beautifully structured work and, when certain chords return they have a lovely familiarity. Ilić’s phrasing, sense of dynamics and fine sense of overall form adds so much. Feldman slowly pulls his themes and motifs together towards the end, though he concludes on an unresolved note. This is a tremendously cohesive recital that surprises and enlightens at every turn. I would encourage people to get this disc, not only for Ilić’s fine performances but to challenge their ideas on modern music. In addition to an extract from Emerson’s lecture on The Transcendentalist, there are notes on each composer, a note by Eric Fraad on the connections made between the featured composers and notes by the pianist on the music. The recording made at the Salle Cortot, Paris is excellent.